The Manual Handling Operations Regulations, 1992 (& 2002), set out a hierarchy of measures for preventing injuries from lifting, carrying, pushing, pulling, turning and any other manual handling operation. In common with HSE’s approach to other hazards the hierarchy starts with avoiding hazardous manual handling operations so far as is ‘reasonably practicable’ then assessing any hazardous operations which cannot be avoided and implementing means of reducing the risk of injury ‘so far as is reasonably practicable’. 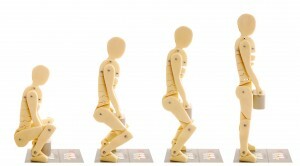 The repetitive manual handling of very light loads, however needs a different approach. The general advice given on the HSE website is helpful but cannot cover all eventualities. Business Health can advise on these situations, both from established ergonomic guidelines and through interpretation of any strains/pains/discomfort developed by employees repeatedly carrying out a process. Often, simple process changes are sufficient to overcome problems. As for personal protective equipment (PPE) in other circumstances we recommend splints and other limb supports only as a last resort. There is no requirement for health surveillance under the Regulations and we rarely recommend routine medical examinations for individuals carrying out manual handling duties unless there is significant exposure to another hazard, such as hand arm vibration. Careful documentation of medical findings at ‘for-cause’ examinations, however can be extremely important in defending a claim for injury, even years later. Work-related upper limb disorder/’repetitive strain injury’ is common, often not completely work-related and permanent damage is rare. It is important, however to separate the general overuse of muscle groups/joints from more significant conditions such as osteoarthritis, carpal tunnel syndrome, synovitis and pressure on nerves from neck or elbow conditions. Differentiating these conditions is central to our role and often allows us to reach diagnoses not previously made in primary care. As well as discussing workplace implications and treatment options we routinely give employees a copy of our clinical notes to pass to the GP, including our specific recommendations for further investigations and treatment. This usually results in treatment being provided far more quickly.